You are asking why this is such a big deal? 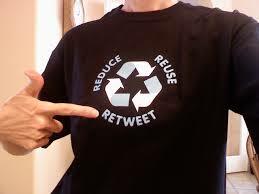 Who cares about the retweet button? If you are an Indie Author trying to spread the word about your new book release then you care. And your followers should care too! The life of a tweet, according to wishpond.com, is 18 minutes. It is hottest in the first seven minutes. Then it slowly loses it’s spark and sizzle. Soon it disappears. Gone. Never to be seen again most likely. So if your tweet wasn’t seen the first time it went out, it is lost. Right? 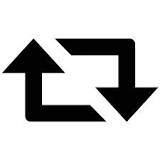 This is where retweets are so important. A few weeks ago, I did a post on my blog for the book release of an Indie Author. I made five different posts on my blog and each time, that post made a tweet on my Twitter account. I then went into my Hootesuite account and scheduled those tweets to post again 5 times each. So I posted my own tweets 25 times on the TL at various times during the day. What does that come down to? At that time I had 1048 followers who saw my 25 tweets so my tweets hit the TL 26,200 times or 26,200 different opportunities for that new book to be seen by someone who might not know the author. And that was just mine alone. The author had 9610 followers that day and retweeted all 25 of my tweets, thus sending information about the books to the TL some 240,250 times. Pretty awesome when you think of it that way, yes? Another 12 people retweeted my tweets that day. Their followers ranged from 26 – 20,100. Some retweeted one and some did as many as ten retweets. But at the end of the day, my 5 little tweets hit the Twitter TL 318,087 times. Yes, that number is correct. My five little simple tweets were retweeted and put on the TL 318,087 different times. WOW. So see the power you have? Hit the button the next time you see someone sharing information about an author’s new books. Share the love. One little click can go a LONG way!